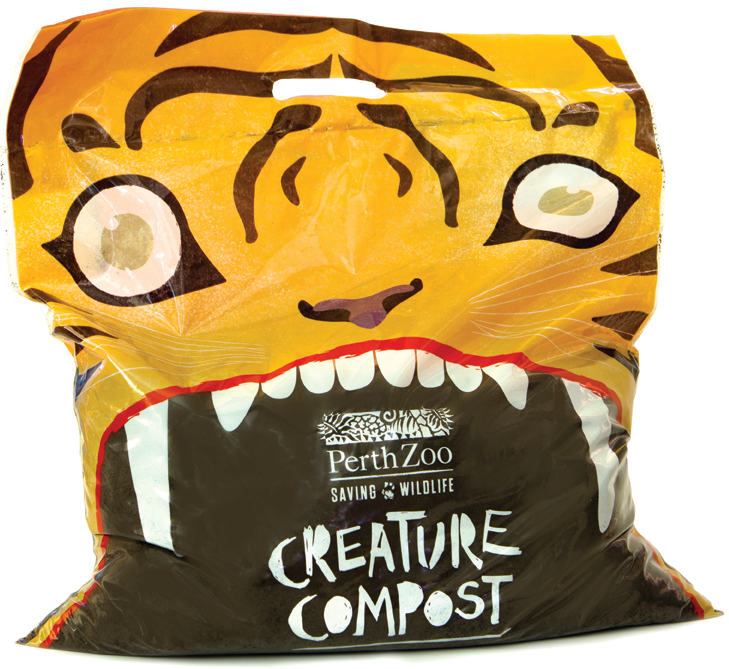 Let your garden grow wild with Perth Zoo’s Creature Compost. The lovingly created product of Perth Zoo’s animal manure and garden waste, Creature Compost is a high quality compost found nowhere else in Western Australia. Creature Compost can be used for improving soil, potting new plants, it is an excellent seed raising mix. Creature Compost is the perfect way to treat your garden and to start making it a sustainable one, so why not get a little help from a rhino, or giraffe…or lion? How is Creature Compost made? Organic waste is collected from the majority of Perth Zoo’s animals as well as green waste from pruning their extensive gardens. We then take the waste and compost it in to the Australian standard AS4454 – the Australian standard for mulches and compost. It is one of the best composts Perth Zoo has used. FACT: About 800 cubic metres of animal and plant waste is removed for composting from Perth Zoo each year. It is this compost that keeps Perth Zoo’s gardens and animal habitats looking so beautiful and green. Whatever the Zoo doesn’t use makes Creature Compost. Perth Zoo is a wildlife conservation organisation and is committed to sustainability to help ensure wildlife habitat is protected. They are working hard to reduce their impact on the planet by reducing their energy consumption, water use and reducing our landfill waste. Since establishing the partnership we have helped Perth Zoo reduce their annual landfill waste by 45%. And even better, you can buy Creature Compost too. This helps to fund Perth Zoo’s operations which means they can continue in their mission to help save wildlife (find out more here). Creature Compost is suitable for use as a general compost although use a half 1:1 mix with your existing soil for natives and sensitive plants. 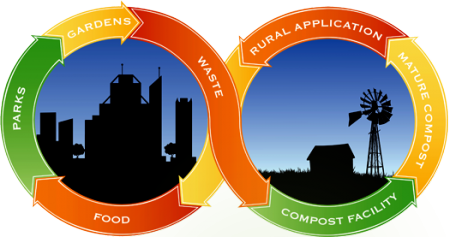 Matured Compost is good for your garden and arguably better than untreated manures due to the higher and plant ready (N) nitrogen, (P) phosphorous, (K) Potassium & Trace Elements. Creature Compost is available in 25L and trailer loads for serious gardeners, however we are especially proud of our 10L bags, designed to get children excited about gardening. Children who love the Zoo will love Creature Compost. The 10 litre Creature Compost bag is designed to excite children who may want to plant their first plant seeds at home – powered by their favourite animal! Simply punch some drainage holes in the bottom of the bag, open the top and sow your seeds, water well and watch your seeds grow. The mouth of the tiger is see-through so you might even see the roots grow and watch your kids go wild!